The HT34-696 two-phase stepper motor is suitable for a wide range of motion control applications. 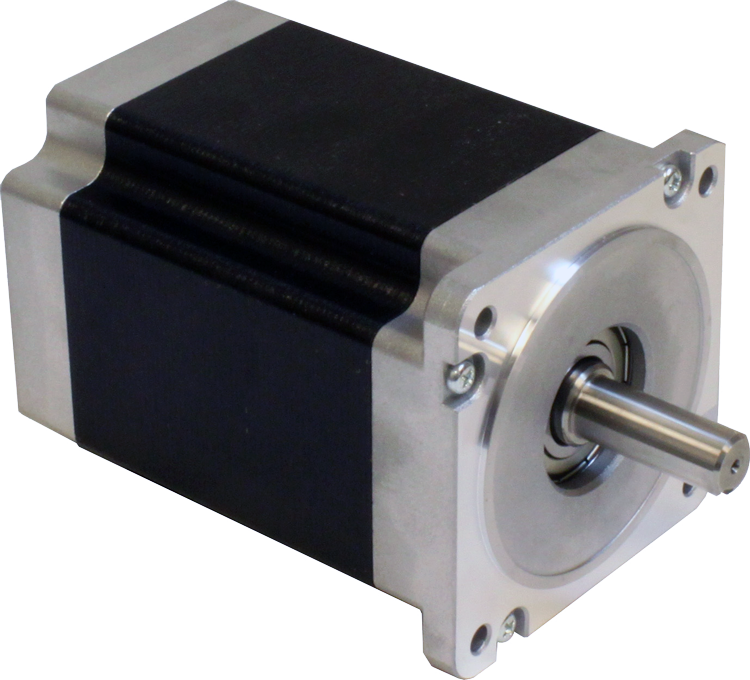 The motor is optimized for use with high bus-voltage stepper drives such as the STAC5, STAC6 and STRAC series drives. The motor comes with an integral 10 ft shielded cable and is terminated with 8 motor leads plus 1 ground lead making it easy to connect the motor to the drive depending on the supply voltage being used. For 120 VAC applications the motor leads must be connected in parallel. For 220 VAC applications the motor leads must be connected in series.